Personal Physicians was founded by Dr. Ishver Desai in 1976, and he later added Dr. Ramnik Gokani. Both physicians have since retired. Dr. Shishir Jain joined Personal physicians in 1999. Th practice has since grown to include Dr. Manish Desai, Tamika Hobson PA-C and Vanessa Igelsias PA-C to better serve our community. In 2006 we were pleased to open Personal Physicians West in Bolingbrook and welcomed Dr. Sheeja Jain to our practice. Dr. Norma Kraft is the newest addition to the Personal Physicians family. 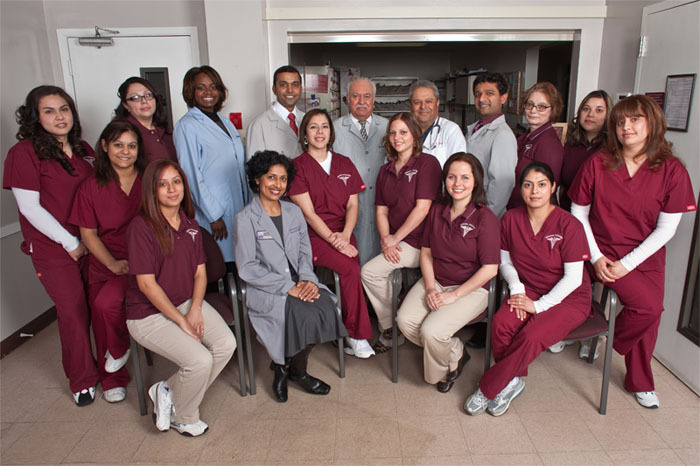 We pride ourselves in, "Listening and caring one patient at a time" while providing personalized and professional care. Dr. Manish Desai, DO, a lifelong Chicagoan, graduated from Loyola University and earned his doctor of osteopathic medicine degree from the Chicago College of Osteopathic Medicine. He successfully completed his internship at the Medical College of Wisconsin and his residency in Internal Medicine at Mercy Hospital in Chicago. He has been practicing with Personal Physicians since 2003. His passion for medicine, instilled by his father, extends to his philosophy of patient care. He believes that by sharing his knowledge of treatment options with his patients he can assist them in following the best path for healthy living, whether it includes preventive or therapeutic care. Dr. Desai is Board Certified in Internal Medicine and is currently on staff at MacNeal Hospital, LaGrange Hospital, Hinsdale Hospital, and Bolingbrook Hospital, and is also on staff at Alden Town Manor in Cicero. Dr. Manish Desai's other affiliations are: He is an honorary professor of the European Union, affiliate in the Department of Medicine at Loyola Hospital, Director of family centered hospice, and consulting physician palliative care at MacNeal. Dr. Desai resides in Woodridge with his son and daughter. In his spare time he enjoys technology, scuba diving, and single engine piloting. Tamika Hobson is a certified and licensed Physician Assistant (PA) in General Medicine. She was raised in Oak Park, Illinois, and received her second Bachelor's degree in Physician Assistant Studies at Midwestern University and her Master's degree in Advanced Physician Assistant Studies at A.T. Still University. She has been practicing as a PA at Personal Physicians since 2007. She has staff privileges at MacNeal Hospital and also provides care to patients at Cedar Point, Alden Town Manor, and Pershing Convalescent Nursing Homes. Tamika shows great interest in Dermatology and Women's health issues including acne treatment and pap smears. She also provides school, work, or routine physicals. Tamika is best known for her cheerful demeanor and willingness to spend time with patients to ensure that all their health concerns are addressed. Her focus in patient care is to involve the patient fully in their care. She provides patients with the information needed to understand their diagnoses as well as treatment options so that they may make an informed decision when needed. She inspires her patients to be committed to their care. Her personal goal is for each patient to leave the office more knowledgeable about their diagnosis. In her spare time Tamika enjoys spending time with her nieces and nephews, traveling, and crafts. Dr. Sheeja Jain joined Personal Physicians in 2006 and has been practicing in the western suburbs since 2002. She sees patients in the Bolingbrook office Monday through Friday and on some Saturdays. 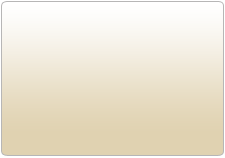 Dr. Jain is Board certified in Internal Medicine, and accepts patients above the age of twelve. She has staff privileges at Bolingbrook Hospital, Hinsdale Hospital, Edward Hospital, and Good Samaritan Hospital. Dr. Sheeja Jain received her Internal Medicine Training at St. Joseph Hospital in Chicago affiliated with Northwestern University Hospital. She received her Board certification in 2002. She is an active member of the American College of Physicians. Dr. Sheeja Jain believes that doctor-patient communication is the foundation of a lasting doctor-patient relationship. She takes time to listen and understand the problems and concerns of her patients. She also ensures that patients are educated about the nature of the illness in a simple, easy-to-understand manner. There are many medical conditions that can be diagnosed and treated by appropriate prevention and screening measures. This screening is a vital aspect of the medical care offered by Dr. Sheeja Jain. Therapeutic lifestyle changes, patient education, smoking cessation, weight control, and strict diabetic and blood pressure control are a few of her many specialties when taking care of her patient. Dr. Sheeja Jain is married to Dr. Shishir Jain, and together they are raising their two daughters in Westmont, IL. 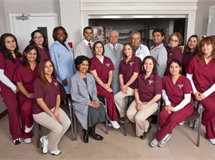 Dr. Shishir Jain has been practicing medicine in Cicero since 1999. He is Board certified in Internal Medicine, and accepts patients above the age of ten. He is on staff at MacNeal Hospital, Lagrange Hospital, Hinsdale Hospital, and Bolingbrook Hospital. He is available for appointments at both the Cicero and Bolingbrook offices. Dr. Jain received his Internal Medicine Training at St. Joseph Hospital in Chicago, which is affiliated with Northwestern University Hospital. Since graduation, he is involved in teaching residents from MacNeal Hospital, as well as students from Loyola University and Rush medical school. He is a clinical associate professor in the Department of Medicine at Loyola Hospital and has chaired and served on the Quality Assurance committee for years; Chaired Credentials and Planning committee; as well as served as Vice Chair Department of Medicine at MacNeal Hospital. Dr. Jain summarizes his practice philosophies as, "Listening and caring, one patient at a time". He believes that prevention is smart medicine. Some diseases are preventable and others are not. But even chronic diseases like Hypertension and Diabetes need to be treated vigorously to prevent disabling complications like a stroke, heart attack, and kidney disease. An educated patient can be a true partner with the doctor in achieving the goal of healthy life until the end. He is also involved in community services with the town of Cicero and Bolingbrook. He helped establish the "free clinic" in Cicero in 2000, and he provides medical service to uninsured patients. He frequently lectures on health related topics at senior centers, and has volunteered in several health fairs. In 2003, American College of Physicians recognized his community services and teaching contributions by awarding him the Fellowship of American College of Physicians (FACP). He has also been recognized with a Trustee Award from the town of Cicero. He is especially proud of the Silver Apple award, recognition for Best Teacher. Dr. Shishir Jain is married to Dr. Sheeja Jain, and together they are raising their two daughters in Westmont. He enjoys playing golf or watching sports, when he can find time. Dr. Norma Kraft graduated from medical school at the University of Freiburg, Germany. She completed her residency training in internal medicine at Pennsylvania Hospital of the University of Pennsylvania Health System in Philadelphia, PA. After completion of her training, she served as Chief Medical Resident at MacNeal Hospital in Berwyn, IL, where she was involved with education and training of the internal medicine residents. From an early age, Dr. Kraft was fascinated by her father's work. A seasoned internist and gastroenterologist, his dedication and devotion to his patients left a lasting impression. Dr. Kraft decided to pursue internal medicine to tackle health challenges across a variety of disciplines and for the opportunity to build long-lasting relationships with her patients. Her particular interests include cardiovascular preventive care, infectious diseases, and primary care in patients with HIV. Dr. Kraft lives in the West suburbs with her family and is excited to make an impact on the health of her community. She seeks to deliver high-value and evidence-based care to each patient. Training in the J. Edwin Wood Clinic in Philadelphia has provided Dr. Kraft with a strong background in patient-centered primary care. Dr. Kraft firmly believes in integrating the most recent advances in medical knowledge with each patient's individual needs.